Home / Credit / What is a Good Credit Score for Buying a House? Getting a mortgage today is still difficult. Guidelines are tight, and credit scores matter more than ever. Before applying for a mortgage, there are a few things you need to know about credit scores. Believe it or not, thereâ€™s no single (or simple) answer here! The credit score range varies depending upon which mortgage agency is funding the loan, the type of loan youâ€™re applying for, and also on specific lender guidelines. On conventional fixed rate mortgages, the ones typically handled through either Fannie Mae or Freddie Mac, the minimum acceptable credit score is generally 620. On a conventional adjustable rate mortgage (ARM), itâ€™s generally 640 as a minimum. For loans insured by the Federal Housing Administration (FHA), the absolute minimum credit score is 500. Youâ€™ll need a minimum score of 580 in order to qualify for maximum financing (96.5% of the purchase price of the home). Between 500 and 579 you can qualify for a mortgage of up to 90% of the property value. Itâ€™s important to remember that these are the minimum scores of the mortgage agencies. The individual lenders youâ€™ll be working with may have credit score minimums that are set at higher levels. Mortgage lenders price loans using a matrix based on a mix of risk factors that includes loan-to-value ratio (mortgage loan amount divided by property value), credit scores, loan amount and debt-to-income ratios. They may even have different requirements based on geography. Generally speaking, the higher your credit score, the more likely youâ€™ll be to get approved and with the lowest interest rates and most flexible terms. 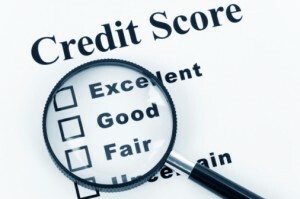 There are thresholds above which your credit qualifies as â€œgoodâ€, â€œvery goodâ€, or â€œexcellentâ€. Depending on the lender and loan program, excellent credit scores can begin anywhere between 700 and 750. If youâ€™re above those thresholds, youâ€™ll generally get the best loan pricing available. Largely due to the decline in property values in recent years, most lenders are offering â€œstreamline refinancesâ€, which are basically mortgages without so much of the usual documentation required. They generally work best for homeowners who are doing a simple rate and term refinance, so credit scores arenâ€™t as much of a factor. Not all refinances qualify as streamline refinances either, and thatâ€™s where credit score requirements re-enter the picture. For example, the game changes if you want to consolidate existing first and second mortgages into a new first mortgage. Another example is when you want to refinance a bank mortgage with a Fannie Mae or Freddie Mac loan. The usual credit score requirements are likely to apply in these cases. Some borrowers have no credit scores, and there are mortgages for them as well. Itâ€™s referred to as â€œnon-traditional creditâ€, which is to say that itâ€™s for people who either donâ€™t have credit from the usual sources, like mortgages, installment loans or credit cards. Because thereâ€™s no credit, there are no credit scores. Sometimes a non-traditional credit report can be ordered that will show your payment history (but no credit scores) from third parties, like utility and insurance companies. This option however is not available in all situations. If not, you generally will have to produce evidence in the form of canceled checks for your rent and two or three other sources, like utilities or insurance payments. The canceled check requirement will typically call for you to provide evidence of on time payments for up to two years. If you go this route, be sure you have all 24 months worth of canceled checks. If youâ€™re missing even one the lender may assume that you paid late that month. An important note here is that non-traditional credit is not an option for borrowers with low credit scores. Theyâ€™re strictly for people who have no credit scores at all. Generally speaking, if youâ€™re below the credit score minimum requirements you will not be able to get a mortgage. If youâ€™re in the â€œfairâ€ or â€œaverageâ€ range (620-700 for conventional or 500-579 for FHA) youâ€™ll most likely be able to get a loan, but it will have higher rates and less generous terms. As mentioned above, FHA limits loan amounts to 90% of property value in the 500-579 range, but conventional loans have their own restrictions. You may similarly be restricted on your loan-to-value (90% or less) or your ability to take a second mortgage, but your interest rate will likely be higher as well. Lower credit scores may also restrict you to lower debt-to-income ratios, which will have the effect of decreasing the loan amount you can take. There are two ways to get around the lower credit score issue. One is to work to improve your credit score, and the other is to have â€œcompensating factorsâ€. Compensating factors is a mortgage industry term for components of your borrower profile that are strong enough to offset weaknesses in other areas. If your credit scores are below the most desirable range, you may not be able to improve your loan pricing, but compensating factors could mean the difference between an approval and a decline. In todayâ€™s difficult mortgage lending environment, itâ€™s usually best to do both â€” improve your credit score and have compensating factors. Itâ€™s a tall order, but one that will benefit you for many years in your home. Have you recently had credit score issue with your mortgage application? Leave a comment! One Response to What is a Good Credit Score for Buying a House?